Johann Sebastian Bach's Goldberg Variations were first published in 1741, and have long been recognised as one of the mainstays of the classical music canon. "So what?" you ask, spraying crisps and beer over your laptop screen. Well, today is a special day for music and for the internet: firstly, you will learn not to talk with your mouth full; and secondly, anyone with an internet connection can now download the "Open Goldberg Variations" for free. Most classical music enthusiasts with a reasonable standard of living will own a recording of the work; most people who can barely scrape together the cash for an internet connection will not. The Open Goldberg Variations project has tried to remedy the problem. Its proponents thought that music of such quality and importance should be a common inheritance, available to all who wished to hear it. But how to pay for the recording? How to finance the studio time and technicians? In short, an appeal at the crowd-sourcing finance platform Kickstarter asked for $15,000, yet raised over $23,000 in just a few days, making the plans more than a pipe dream. Then some wonderful things happened: Bösendorfer sponsored a top-class grand piano, and Anne-Marie Sylvestre, a seasoned sound engineer and producer, offered her services for free. Such largesse meant that the recording could take place at the hallowed Teldex Studio in Berlin. 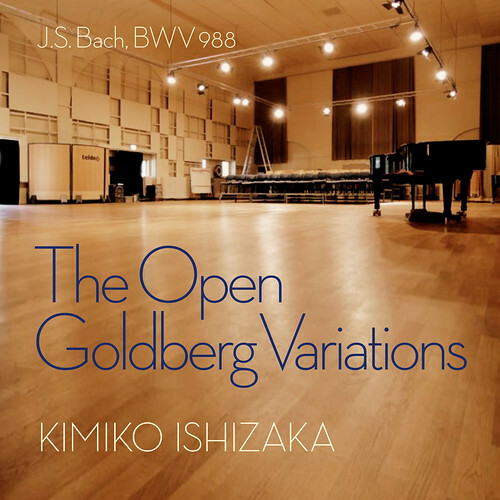 If you wish to download the entire album in one go (mp3s and lossless FLAC files are available), you can visit the Soundcloud page or, even better, go straight to the Open Goldberg Variations download page. You can even write a review *cough* and win a double CD. You may ask yourself if issuing a recording of this standard will divert money from commercial recordings and publishers. If you do, stop talking to yourself. It's a bad habit. Then forget about piracy. Thieves will always steal from the internet if they can. Don't waste time on those people. The important people are the potential customers. There are a billion people online who can now hear and own a pristine, high-quality recording of this wonderful work. They won't have to record a low-fi radio broadcast to hear it; they won't have to visit a torrent site and inadvertently spread viruses; they won't carry the psychological stigma of knowing they have stolen something, and they won't have purloined a slice of someone's wages. No, they will be dignified, legitimate owners and listeners and, if Bach has anything to do with it, will learn to love the music and, lo and behold, become fans of his other works. This increases the likelihood that they will purchase recordings of his music, attend concerts, and even - I can barely credit it - play the actual music on actual instruments made out of actual wood and stuff. This recording will eventually percolate its way around the world, finding a home in schools, universities, homes and mp3 players. If just one per cent of one billion people become fans of Bach's music because of this recording, classical music publishers will have a potential ten million new customers. But if you own Ms Ishizaka's recording, why bother to buy another version of the Goldberg? Well, that's the beauty of it: every pianist has a different approach to the work. There are amazingly different versions of the work, as Glenn Gould, Andras Schiff, Murray Perahia and many others have demonstrated. It's like Pokémon: gotta catch 'em all. Ahem. Just as excitingly, Musescore has created a brand-new score of the work after making their initial efforts available to academics and Bach enthusiasts for revision. This too will be online for anyone who wants it. If you have enjoyed the Open Goldberg Variations, please consider thanking its instigators for their energy and foresight. After that, say thank you to J.S. Bach, who is doubtless quaffing beer from a freshly-tapped barrel, moaning to his brother about the shocking cost of import duties, and saying what he really thinks about having to write long, obsequious letters to obdurate royalty.